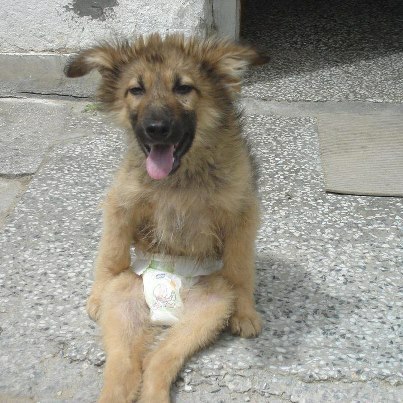 love is an animal: BORKO, DEFENSELESS DOG, TALK FOR BULGARIAN ANIMALS: PLEASE DON'T IGNORE MY CRY FOR HELP! BORKO, DEFENSELESS DOG, TALK FOR BULGARIAN ANIMALS: PLEASE DON'T IGNORE MY CRY FOR HELP! 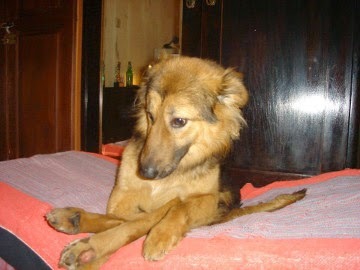 My name is Borko, last May I was beaten so badly that my spine was broken. I was taken in by a loving family, my Daddy is Bulgarian doctor George Litovand, a very kind man. 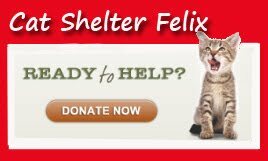 Now my Daddy is being persecuted in our village because he helps the poor strays like me. The people want my family and me out and there was a mob sent to our home with a film crew. I was attacked and beaten again in my own garden. PLEASE SIGN PETITIONS FOR BORKO! Justice for Disabled Borko! Punish the man who savagely beat him in his own home! 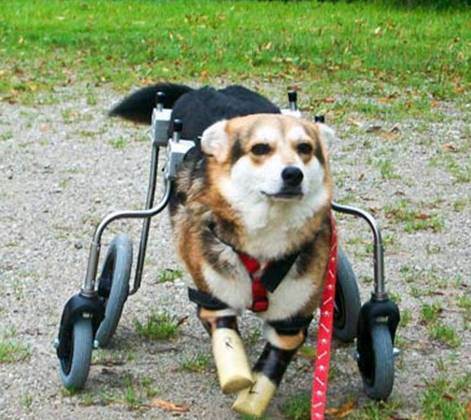 Disabled Borko's Story Part II: TV7, Broadcast the Truth! Government of Bulgaria: Stop and prosecute inhumane animal cruelty against animals like "Borko"
The picture above comes from 2012. Borko is now a much bigger boy. Bulgaria: Start sterilization campaigns in Sofia and all Bulgarian municipalities immediately! 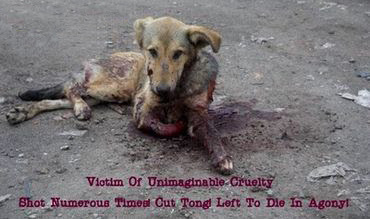 Marin Raykov: Please create a regulatory body to investigate/prosecute animal abusers. End Torture, Death & Corruption at Bulgarian Municipal Dog Shelters Hell! Bulgaria: Petition Against the Killing of Strays! The greatness of a nation and its moral progress can be judged by the way in which its animals are treated stated Ghandi. And the children of Bulgaria watching this murder, how will this impact their moral fiber? Human monsters like this should never bed allowed to ,live!! I signed every petition yesterday and contacted every media outlet. My heart is still breaking. The gratuitous torture these people have no compunction about doing to a living creature is just mind boggling. I thought this behavior was confined to serial killers, drug addicts, the Chinese (ha!) and other mentally deficient people; that a whole society appears to have degenerated themselves to the point of accepting this barbarism is indeed scary and demoralizing. Eyg, Florenceeaise, Sandy and Vilkas, thank you so much for supporting Borko and his family! Bulgaria is member of the EU, yet does not prosecute crimes against animals and allows these to happen. 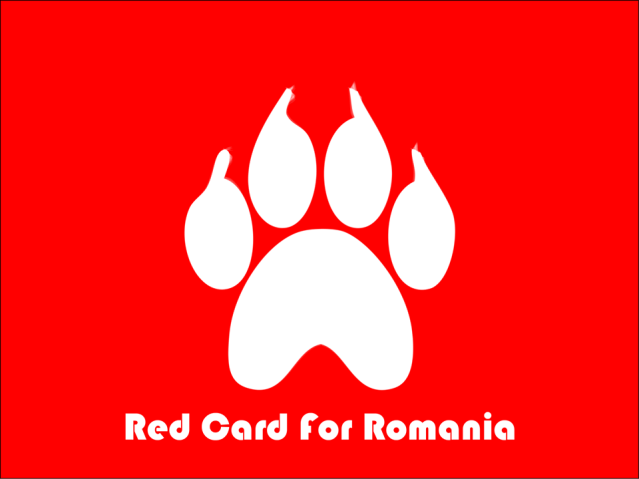 Bulgarian press is the main instigator of the so-called "war against the stray dogs" - this is the exact term that journalist use on TV and in their articles. 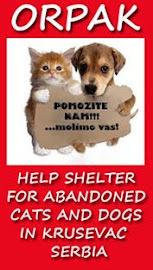 They encourage the barbaric acts on the stray animals and should also be held accountable for this despicable actions. However, I know there is more love than hate and if we join forces, we can prevent further suffering of Bulgarian animals. So, please, keep spreading Borko's story. Everyone needs to know what is going on in Bulgaria! Atrocities like this happen every day and in every country but if we choose life and love, we can soften that stone walls! We have the capacity to create a kinder world. It's our choice! I can hardly find the right words. What happened to this innocent and defenseless dog is that disgusting that I have problems to stay polite. Besides the fact that this human scum has acted incredibly cowardly, the spectators say very much about the mentality of the local people. I'm surprised that this pack does not show any visible sign of awareness of their own wrongdoing. If these people stand for the majority of Bulgarians I'm strictly against an accession to the Schengen Agreement with this country! Since this was obviously not an isolated case, I'd even plead for Bulgaria and Romania excluded from the EU. They've had more than enough time to learn how civilized countries have to behave in the EU and they're obviously of the opinion that their countries don't have to follow any rules, agreements or even laws !!! 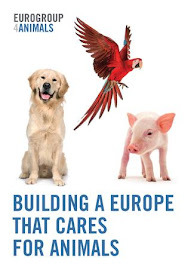 I'm feeling with the Bulgarians who try to help these innocent animals with all their love, their money, their existance and full of compassion, but they're running against windmills without strong pressure from other European countries and the medias. I really don't like the common mentality of the German people but honestly you will hardly find more than twenty persons in a village who would just stand aside and stare at such a scene without saying or doing anything to help this dog and/or beat this cowardly scum. I would love to see that awful man get beaten with the same stick that he used to beat that poor dog! Sometimes two wrongs do become a right!! If that had been my dog had this﻿ Devil with the stick does not survive because I had killed him immediately.!!!!!!!! THE DARK AGE FOR SERBIAN ANIMALS?